The de Havilland DH 106 Comet was the first production commercial jetliner. Developed and manufactured by de Havilland at its Hatfield, Hertfordshire, United Kingdom headquarters, the Comet 1 prototype first flew on 27 July 1949. It featured an aerodynamically clean design with four de Havilland Ghost turbojet engines buried in the wings, a pressurised fuselage, and large square windows. For the era, it offered a relatively quiet, comfortable passenger cabin and showed signs of being a commercial success at its 1952 debut. A year after entering commercial service, Comet airframes began suffering catastrophic metal fatigue, with three of them tearing apart during mid-flight in well-publicised accidents. The Comet was withdrawn from service and extensively tested to discover the cause; the first incident had been incorrectly blamed on adverse weather. Design flaws including window shape and installation methodology were ultimately identified; consequently the Comet was extensively redesigned with oval windows, structural reinforcement and other changes. Rival manufacturers meanwhile heeded the lessons learned from the Comet while developing their own aircraft. Although sales never fully recovered, the improved Comet 2 and the prototype Comet 3 culminated in the redesigned Comet 4 series which debuted in 1958 and enjoyed a productive career of over 30 years. 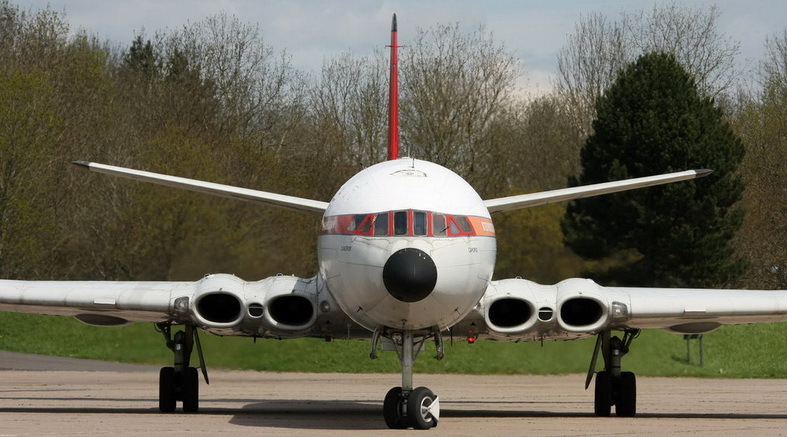 The Comet was adapted for a variety of military roles such as VIP, medical and passenger transport, as well as surveillance; the most extensive modification resulted in a specialised maritime patrol aircraft variant, the Hawker Siddeley Nimrod. Nimrods remained in service with the Royal Air Force (RAF) until they were retired in June 2011, over 60 years after the Comet's first flight. On 11 March 1943, the Cabinet of the United Kingdom formed the Brabazon Committee to determine Britain's airliner needs after the conclusion of the Second World War. One of its recommendations was for a pressurised, transatlantic mailplane that could carry one long ton (1.0 t) of payload at a cruising speed of 400 mph (640 km/h). Challenging the widely held scepticism of jet engines as too fuel-hungry and unreliable, committee member Sir Geoffrey de Havilland, head of the de Havilland company, used personal influence and his company's expertise with jet aircraft to specify a turbojet-powered design. The committee accepted the proposal, calling it the "Type IV" (of five designs), and awarded a production contract to de Havilland under the designation Type 106 in February 1945. First-phase development of the DH 106 focused on short and intermediate range mailplanes with a small passenger compartment and as few as six seats, before being redefined as a long-range airliner with a capacity of 24 seats. Out of all the Brabazon designs, the DH 106 was seen as the riskiest both in terms of introducing untried design elements and for the financial commitment involved. Nevertheless, the British Overseas Airways Corporation (BOAC) found the Type IV's specifications attractive, and initially proposed a purchase of 25 aircraft; in December 1945, when a firm contract was laid out, the order total was revised to 10. A design team was formed in 1946 under the leadership of chief designer Ronald Bishop, who had been responsible for the Mosquito fighter-bomber. A number of unorthodox configurations were considered, ranging from canard to tailless designs; all were subsequently rejected. The Ministry of Supply was, however, interested in the most radical of the proposed designs and ordered two experimental tailless DH 108s to serve as proof of concept aircraft for testing swept-wing configurations in both low-speed and high-speed flight. During flight tests, the DH 108 gained a reputation for being accident-prone and unstable, leading de Havilland and BOAC to gravitate to conventional configurations and, necessarily, designs with less technical risk. The DH 108s were later modified to test the DH 106's power controls. In September 1946, prior to the completion of the DH 108s, BOAC requests necessitated a redesign of the DH 106 from its previous 24-seat configuration to a larger 36-seat version. With no time to develop the technology necessary for a proposed tailless configuration, Bishop opted for a more conventional 20-degree swept-wing design with unswept tail surfaces, married to an enlarged fuselage accommodating 36 passengers in a four-abreast arrangement with a central aisle. Replacing previously specified Halford H.1 Goblin engines, four new, more powerful Rolls-Royce Avons were to be incorporated in pairs buried in the wing roots; Halford H.2 Ghost engines were eventually applied as an interim solution while the Avons cleared certification. The redesigned aircraft was named the DH 106 Comet in December 1947. Revised first orders from BOAC and British South American Airways totaled 14 aircraft with delivery projected for 1952. Because the Comet represented a new category of passenger aircraft, more rigorous testing was a development priority. From 1947 to 1948, de Havilland conducted an extensive research and development phase, including the use of several stress test rigs at Hatfield for small components and large assemblies alike. Sections of pressurised fuselage were subjected to high-altitude flight conditions via a large decompression chamber on-site, and tested to failure. However, tracing fuselage failure points proved difficult with this method, and de Havilland ultimately switched to conducting structural tests with a water tank that could be safely configured to increase pressures gradually. The entire forward fuselage section was tested for metal fatigue by repeatedly pressurising to 2.75 pounds per square inch (19.0 kPa) overpressure and depressurising through more than 16,000 cycles, equivalent to about 40,000 hours of airline service. The windows were also tested under a pressure of 12 psi (83 kPa), 4.75 psi (32.8 kPa) above expected pressures at the normal service ceiling of 36,000 ft (11,000 m). One window frame survived 100 psi (690 kPa), about 1,250 percent over the maximum pressure it was expected to encounter in service. The Comet was an all-metal low-wing cantilever monoplane powered by four jet engines; it had a four-place cockpit occupied by two pilots, a flight engineer, and a navigator. The clean, low-drag design of the aircraft featured many design elements that were fairly uncommon at the time, including a swept-wing leading edge, integral wing fuel tanks, and four-wheel bogie main undercarriage units designed by de Havilland. Two pairs of turbojet engines (on the Comet 1s, Halford H.2 Ghosts, subsequently known as de Havilland Ghost 50 Mk1s) were buried into the wings. The original Comet was approximately the length of the later Boeing 737-100, but carried fewer people in a significantly more spacious environment. BOAC installed 36 reclining "slumberseats" with 45-inch (1,100 mm) centres on its first Comets, allowing for greater leg room in front and behind; Air France had 11 rows of seats with four seats to a row installed on its Comets. Large picture window views and table seating accommodations for a row of passengers afforded a "feel of comfort and luxury" atypical of transportation of the period. Amenities included a galley that could serve hot and cold food and drinks, a bar, and separate men's and women's toilets. Provisions for emergency situations included several life rafts stored in the wings near the engines, and individual life vests were stowed under each seat. One of the most striking aspects of Comet travel was the quiet, "vibration-free flying" as touted by BOAC. For passengers used to propeller-driven airliners, smooth and quiet jet flight was a novel experience (although passengers of today would consider the Comet noisy, particularly in seats aft of the wing). 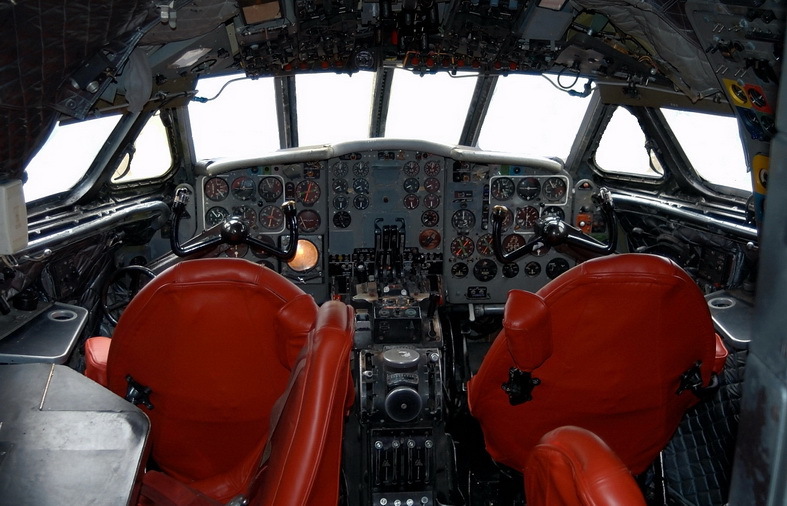 For ease of training and fleet conversion, de Havilland designed the Comet's flight deck layout with a degree of similarity to the Lockheed Constellation, an aircraft that was popular at the time with key customers such as BOAC. The cockpit included full dual-controls for the captain and first officer, while a flight engineer controlled various key systems, including fuel, air conditioning, and electrical systems. The navigator occupied a dedicated station with a table across from the flight engineer. The earliest production aircraft, registered G-ALYP ("Yoke Peter"), first flew on 9 January 1951 and was subsequently loaned to BOAC for development flying by its Comet Unit. On 22 January 1952, the fifth production aircraft, registered G-ALYS, received the first Certificate of Airworthiness awarded to a Comet, six months ahead of schedule. On 2 May 1952, as part of BOAC's route-proving trials, G-ALYP took off on the world's first jetliner flight with fare-paying passengers and inaugurated scheduled service from London to Johannesburg. The final Comet from BOAC's initial order, registered G-ALYZ, began flying in September 1952 and carried cargo along South American routes while simulating passenger schedules. The Comet was a hit with passengers including Queen Elizabeth, the Queen Mother and Princess Margaret, who were guests on a special flight on 30 June 1953 hosted by Sir Geoffrey and Lady de Havilland, and thus became the first members of the British Royal Family to fly by jet. Flights on the Comet were about 50 percent faster than on advanced piston-engined aircraft such as the Douglas DC-6 (490 mph for the Comet compared to the DC-6's 315 mph), and a faster rate of climb further cut flight times. In August 1953 BOAC scheduled eight-stop London to Tokyo flights by Comet for 35 hours, compared to 85 hours and 35 minutes on their Argonaut piston airliner. (Pan Am's eastward around-the-world DC-6B, Flight 2, was scheduled for 46 hours 45 minutes.) The thrice-weekly five-stop London to Johannesburg Comet was scheduled for 20 hr 20 min. In their first year of service Comets carried 30,000 passengers. As the aircraft could be profitable with a passenger load factor as low as 43 percent, commercial success was expected. The Ghost engines enabled the Comet to operate above weather competitors had to fly through. In addition, they ran smoothly and were less noisy than piston engines, had low maintenance costs, and were fuel-efficient above 30,000 ft (9,100 m). At the height of its career, BOAC's Comet 1 fleet flew London to Singapore, London to Tokyo, and London to Johannesburg several times a week. By 1953, the Comet appeared to have achieved success for de Havilland. In addition to BOAC, two French airlines, Union Aéromaritime de Transport and Air France, launched jet services to West Africa and the Middle East with the Comet 1A, an upgraded variant with greater fuel capacity. 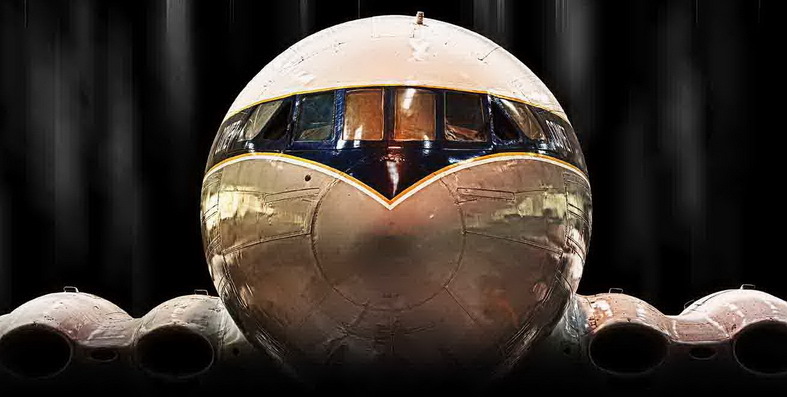 A slightly longer version of the Comet 1 with more powerful engines, the Comet 2, was being developed, and orders were placed by Air India, British Commonwealth Pacific Airlines, Japan Air Lines, Linea Aeropostal Venezolana, and Panair do Brasil. American carriers Capital Airlines, National Airlines, and Pan Am placed orders for the planned Comet 3, an even larger, longer-range version for transatlantic operations. Qantas expressed considerable interest in operating the Comet 1, but concluded that the aircraft lacked the fuel capacity and takeoff performance to serve the London to Canberra route and that a purchase was not justified until further development had taken place. Rome's Ciampino airport, the site of the first Comet hull loss, was again the origin of more disastrous Comet flights just over a year later. 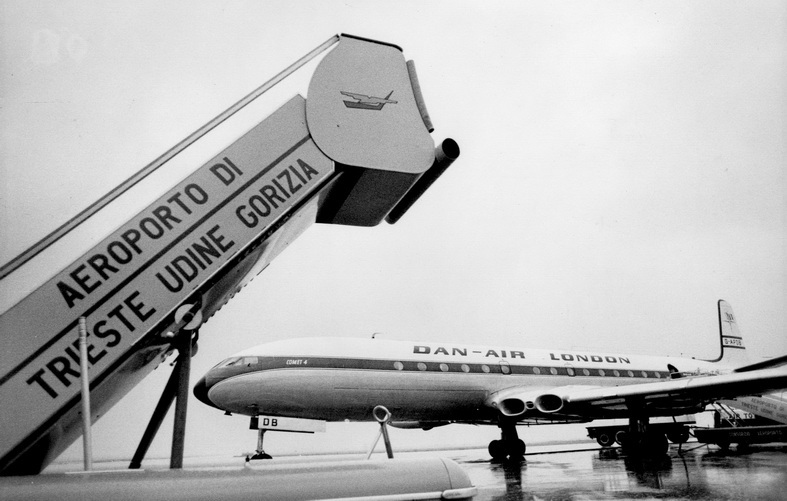 On 10 January 1954, 20 minutes after taking off from Ciampino, the first production Comet, G-ALYP, broke up in mid-air while operating BOAC Flight 781 and crashed into the Mediterranean off the Italian island of Elba with the loss of all 35 on board. With no witnesses to the disaster and only partial radio transmissions as incomplete evidence, there appeared to be no obvious reason for the crash. Engineers at de Havilland immediately recommended 60 modifications aimed at any possible design flaw while the Abell Committee met to determine potential causes of the crash. 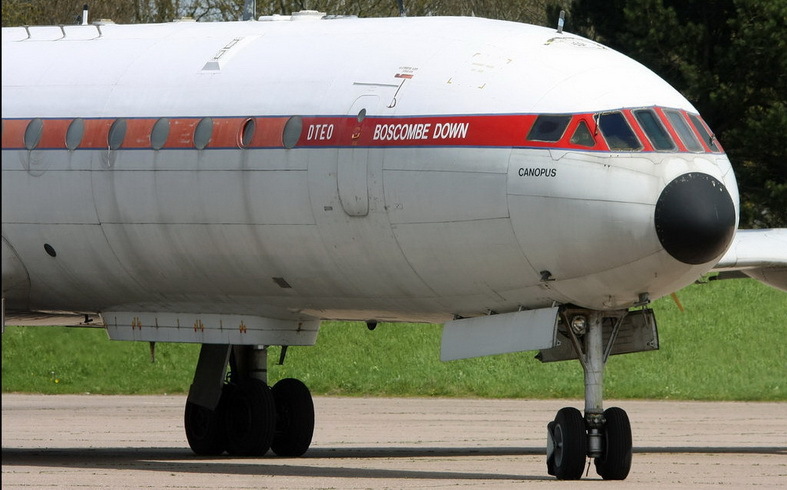 BOAC also voluntarily grounded its Comet fleet pending investigation into the causes of the accident. With the discovery of the structural problems of the early series, all remaining Comets were withdrawn from service, while de Havilland launched a major effort to build a new version that would be both larger and stronger. All outstanding orders for the Comet 2 were cancelled by airline customers. The square windows of the Comet 1 were replaced by the oval versions used on the Comet 2, which first flew in 1953, and the skin sheeting was thickened slightly. Remaining Comet 1s and 1As were either scrapped or modified with oval window rip-stop doublers (a thick, structurally strong ring of material that prevents a crack from spreading further). All production Comet 2s were also modified to alleviate the fatigue problems (most of these served with the RAF as the Comet C2), while a programme to produce a Comet 2 with more powerful Avons was delayed. The prototype Comet 3 first flew in July 1954, and was tested in a non-pressurised state pending completion of the Cohen inquiry. Comet commercial flights would not resume until 1958. Development flying and route proving with the Comet 3 allowed accelerated certification of what was destined to be the most successful variant of the type, the Comet 4. All airline customers for the Comet 3 subsequently cancelled their orders and switched to the Comet 4, which was based on the Comet 3 but with improved fuel capacity. BOAC ordered 19 Comet 4s in March 1955, while American operator Capital Airlines ordered 14 Comets in July 1956. 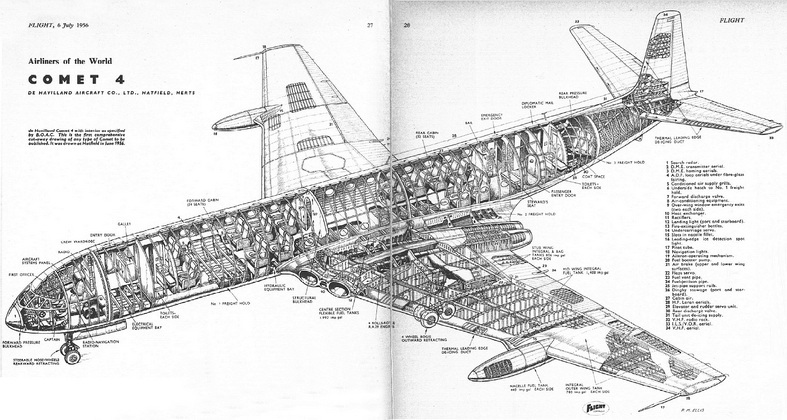 Capital's order included 10 Comet 4As, a variant modified for short-range operations with a stretched fuselage and short wings, lacking the pinion (outboard wing) fuel tanks of the Comet 4. However, due to financial problems and a subsequent takeover by United Airlines, Capital would never operate the Comet.